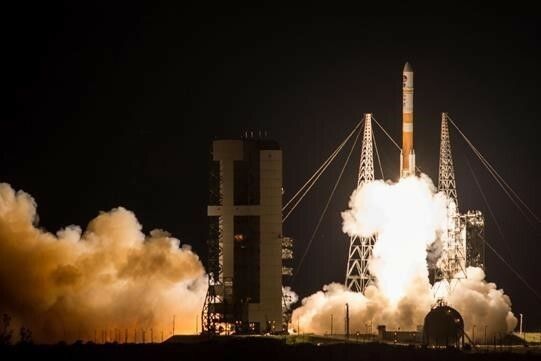 Representatives from the Canadian Armed Forces (CAF) and Department of National Defence were on hand at Cape Canaveral, Florida, March 18, to witness the launch of the ninth Wideband Global Satellite Communication (WGS-9) constellation satellite. The satellite will aid in meeting CAF strategic satellite communications (Satcom) requirements for many years into the future. Canada contributed $340 million to the development of the WGS-9 program, which represents the largest financial contribution of the five project partner nations. Canada’s participation was made under the Department of National Defence’s Mercury Global Project, which leverages the capabilities of eight other WGS satellites already in orbit. Canada gained access to the WGS constellation in May 2013 and has used this capability to support the communications needs of several missions around the world.